Um Um Raicher is a dive site at only 5 kilometers north of Nuweiba. It is a beautiful shallow dive over both pinnacles and a reef with healthy coral and many marine life. Starting at an area of sea grass, you will progress from pinnacle to pinnacle until you hit the reef. There are two reef walls and life is very prolific especially when you search in all the crevices and chimneys. There you will see octopus, cuttlefish and many other small creatures. 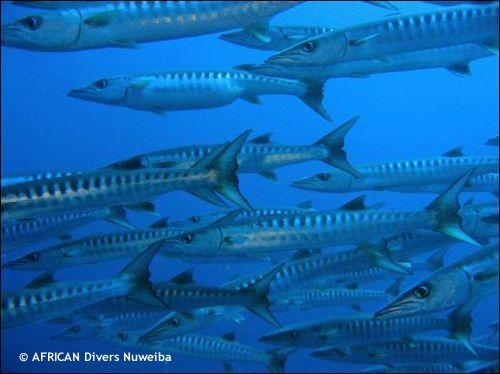 Pelagic fish such as barracuda’s are hunting near the walls. It is also possible to drift all the way to El Huwei, but because of the currents, this is not the most common dive plan.